Is Dectective fiction inferior to literature? For my last response in my “London’s Fiction” class, I posted a tongue in cheek answer to the question, “Is Detective fiction inferior to literature?” Some of my classmates got the joke, but two women were incensed by my remark about Twilight. My response? If you consider Twilight a masterpiece, you don’t deserve a Master’s of Liberal Arts degree. Many a times my bibliophilic friends and I have solemnly gathered together to answer the age old question’ “Does detective fiction count as literature?” You may laugh, but I’ve seen long time friendships end over this debate, and once we were escorted out of a library after a copy of Joyce’s Ulysses was hurdled across the table as a cry “Is this weighty enough for you? !” rang out. I’ve learned this is a very sensitive question but given that none of you have access to my office, I think I am safe. I hope I’m safe. I may answer this from behind my couch. Let me begin with two important points. 1. I would rather see people read anything, than not read at all. Okay, I take that back……I would rather see people read anything other than the Twilight series, than not read at all. 2. Read what you like and don’t let book snobs like me make you feel inferior, (unless it’s Twilight..sigh, seriously put the book down). Whenever I am engaged in a book debate and this topic comes up, I remind everyone that no matter what, people are entitled to like what they like. This has defused a few tense book club meetings and left everyone with a sense of relief, well expect for the snob who only reads Jane Austen. She hasn’t been the same since Anne Hathaway (an American!) played Miss. Austen. While I cannot make the leap that all Detective fiction is inferior (some of the most well written books I’ve read have come from the pens of European crime writers) I will attempt to argue that there are many aspects to Detective fiction that are inferior to serious literature. Detective fiction is usually broken down into three parts; the crime, the investigation, and the solution/resolution. There is little plot development in Detective fiction, oh there may be a few twists and turns (thank Christie for fooling me twice) but this is more plot devices than real plot development. Plot development goes hand in hand with character development. Rarely are characters of Detective fiction moved to develop. All, including the protagonist, are one dimensional; assigned roles that are never deviated from. This is one reason I do not care for American Detective fiction, the villains are so one dimensional and flat as to be laughable. At least to me. Their evil-doings bore me to tears. Description of setting is usually kept to a minimum (unless your name in Dan Brown…then every blade of grass is talked about…in painful detail, I might add). An early example of this can found in Doyle’s The Red-Headed League. Here we see Holmes note a commercial city block. We learn the names of the businesses but not what the buildings look like. As readers, we are left to our own imagination as to sights and smells when reading Detective fiction. With Detective fiction we are guaranteed a satisfactory resolution. We know the crime will be solved, we know the criminal will be brought to justice. We are assured that our expectations will be met. We cannot say that in general for literature; some of the best pieces of literature throw us for a loop. Come on admit it, you didn’t see Willy Wonka’s escape by glass elevator coming, now did you? And for the love of god, can someone explain the ending of The Turn of the Screw? Personally, I used to read Kellerman, Patterson and the like, but I noticed a disturbing trend; characters appearing out of nowhere. Just when we think we know who the killer is, or how he/she did it, a never before mentioned character comes out of nowhere so that the author can tie up all loose ends. If memory serves, Doyle does this to some degree with The Hounds of Baskerville. Having someone come out of the woodwork to either stand accused of the crime or prove a solid alibi is sloppy and lazy. Formulated, flat, boring, with sloppy writing is how many book snobs (I mean, Fans of Literature) view Detective fiction and why it has the reputation of being inferior to literature. Having said that, I was delighted to read Doyle’s work (but to be fair, I spend all weekend reading The Divine Comedy before picking these up). Yes, we know the mystery will be solved. Yes, we know Holmes always manages to find connections “off stage” that appear to be lazy work by Doyle, yet I love Holmes. His stories, like most Detective fiction, can be compared to comfort food. We know it is not great, but we love it all the same. I’m not a great fan of detective fiction either, but it’s like cryptic crosswords — fine for briefly engaging the brain but predictably with only preordained correct answers. Having said which, the best tec fiction and cryptics are worth admiration if love and wit are involved, along with a sense of fitness. I’ve enjoyed Donna Leon’s Inspector Brunetti novels, set in Venice, and Camillieri’s Montalbano series set in Sicily. You engage with, care about the main characters, and the solutions are rarely pat. But novels like these are few and far between. I haven’t read these, but as a whole, I do enjoy modern European crime novels more than American. Henning Mankell comes to mind as does Ian Rankin. I miss authors like Christie, who once in a while throws in a twist or two. I suppose much classic literature — indeed much narrative in general — fits into your tripartite plan for detective fiction, except we might call it onset, conflict and resolution, or simply beginning middle and end. 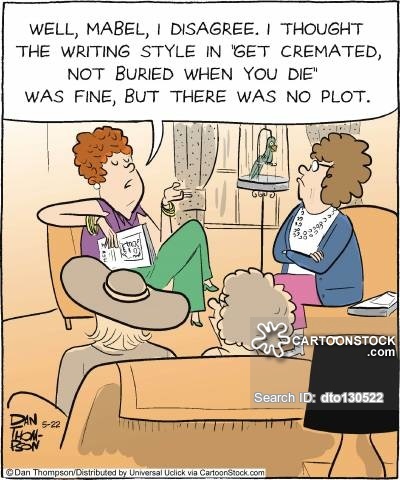 Some writing eschews these, throwing us in medias res, or having a plot where tension is absent or imitating life with loose ends remaining untied. Do we find these as satisfying, or do they count as literature simply because they are edgy or defy categorisation? I suspect that some of the prejudice against detective fiction is because the early writers tended toward a plain prose style, much as did the early science fiction writers. And there have been periods in which detective stories featured absurdly complicated plots to keep the reader guessing. That said, Dashiell Hammett’s “Red Harvest” (1929) prefigures “The Godfather” in its depiction of the relentless corrosion caused by lawlessness and violence, and along with another Hammett novel is supposed to have inspired filmmaker Akira Kurosawa. And I know a creative writing instructor who swears by Michael Chabon. Chabon is on my wish list (as in I wish I had the time). Sayers comes to mind as an early writer whose work bordered between literature and the crime genre. They sure don’t write them like that anymore. Detective fiction satisfies me in the same way playing Tetris satisfies me – all the pieces tie together, and I know if I am patient the missing piece will show up in the end. I don’t play Tetris all the time, but I can tell it is therapeutic for my brain in small doses. Similarly, I read a small, steady amount of detective fiction in a medicinal way. I ran out of Agatha Christies some years ago, sadly – she’s by far my favourite. I just read my first Dorothy Sayers (“The Nine Tailors”). She and PD James are now my current tops for when I need a little cozy mental massage. That’s a perfect analogy. I used to read a lot of detection fiction for the same reasons; I’d be a assured of a satisfying conclusion without much thinking on my part. I love Sayers! Gaudy Night is one of my favorites, though I spotted the culprit early on, her writing kept me going. I’ve written two college papers on Sayers. Now she is an interesting character!